Will Harper yield to parliament? At issue, the House of Commons has ordered the Harper government to deliver to parliament unedited documents, which allegedly demonstrate the government knowingly and deliberately delivered people to torture. The government's response to the House's order has been to ignore it arguing it has a responsibility to keep some types of information from public view and that overrides Parliament's order. The Harper government is also claiming it is supreme over both the majority of elected Members of Parliament and over what Parliament can examine. Mr. Harper's position takes everything we know about responsible government and turns it on its head. 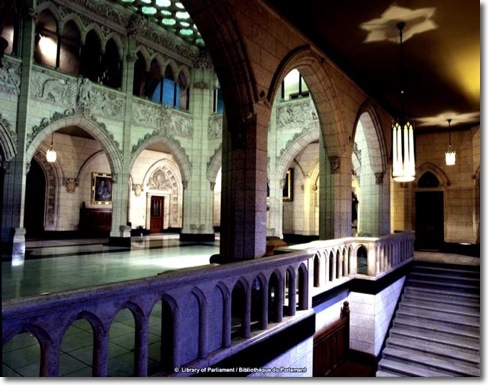 No Canadian with an ounce of democratic spirit will stand for a precedent setting end to parliamentary accountability by accepting Harper's refusal to follow the expressed direction of our Parliament. If Mr. Harper's refusal be continued, the sergeant-in-arms should - indeed must - be directed to enforce the orders of Parliament and seize the documents. What could come next is the scary part. If the sergeant-in-arms is met with resistance we will be witnessing the use of force to subvert parliament, which is both treason and an attempted coup d'état. Like it or not we are days away from asking these questions: Will the Harper government go so far as to resist the enforcement actions of parliament? Will Stephen Harper persist and force confrontation? Or, will he relent and yield to our constitutional parliamentary democracy?